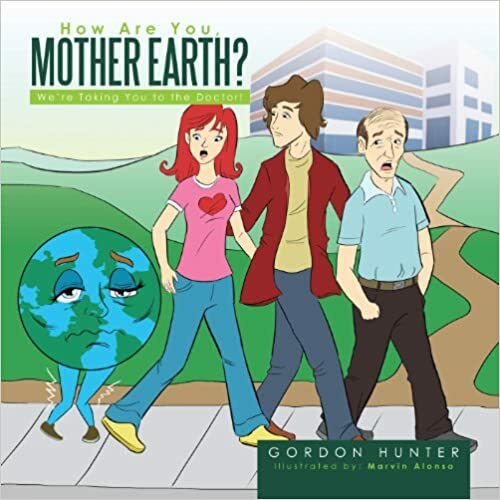 Gordon Hunter’s book, How Are You, Mother Earth, has been covered by recent media and met with a healthy amount of buzz. The BlueInk Review praised the children’s book for its educational metaphor, taking an analysis of the state of our earth and likening it to a doctor’s appointment. Elsewhere, Hunter’s book was also featured on LA Talk Radio’s Internet radio show. Trafford author Kenn Joubert has a lot to be happy about as not one but two of his books have garnered enough attention to be in the running for book prizes. The second book in his historical Huguenot trilogy, Follow the Wind, was recently entered in the Huguenot Society of USA’s annual book competition as mentioned in The Cross of Languedoc publication. 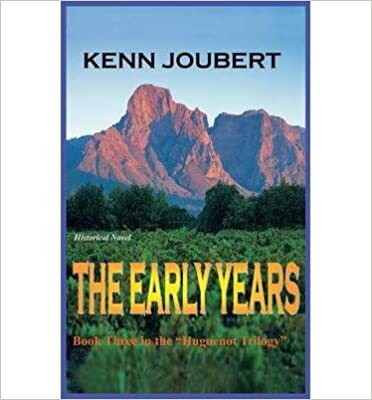 Joubert’s final book of the trilogy, The Early Years, became a prize winner at the L.A. Book Festival, taking home an Honourable Mention in the Sequel competition. Vivian Cameron-Gallo’s interactive children’s book, We're Three: A Story About Families and the Only Child, has recently received recognition in Creative Child Magazine’s 2013 awards. Winning the Preferred Choice Award for Children’s Interactive Books, Cameron-Gallo’s book is not merely a story, but an interactive adventure complete with its own illustrations, as well as spaces for a child to add in new ones in order to give the sense that he or she is living out his or her own adventure. This is not the first time Gallo’s book has garnered an award from Creative Child Magazine, having won numerous accolades since being published in 2008, including Book of the Year for three years running since 2010. Trafford author Veronica O’Leary was featured in the news recently after she did a reading session of her book Circles the Trilogy, Book 1: Damaged Goods at the Mary Cheney Library in Manchester, Connecticut. The article talks about O’Leary’s journey that led her to write this romantic saga between the book’s two protagonists, Princeton and Tallulah, and how putting this story together helped her get over many challenges, including the passing of her husband and her mother. David Plain’s commitment towards history—both his family’s and the region’s—has led him to pen his fourth Trafford-published book entitled From Ouisconsin to Caughnawaga: or Tales of the Great Lakes First Nations. A former IT manager who finally decided to pursue his passion for writing, Plain initially set meager expectations on his self-publication journey. However, he managed to exceed those expectations and more with his book The Plains of Aamjiwnaang garnering an award. Now with his latest book, he aims to educate young readers about the rich culture and history of the Great Lakes First Nations region. Retired engineer turned Trafford author Tibor Kamon gained much acclaim as his book entitled Find A Place to Call Home was recognized as the winner in the Biography category in the Beverly Hills Book Awards (BHBA). The BHBA is a contest that celebrates excellence in presentation, taking into consideration cover and interior design, promotional text, aesthetic components, and other factors that demonstrate outstanding presentation. Read complete list of winners here. Several Trafford authors brought home the bacon as they were recognized for their work in the prestigious 2013 Eric Hoffer Awards—an award-giving body established at the turn of the century that honors the memory of American philosopher Eric Hoffer by highlighting salient meritsas well as the independent spirit of publishing. Leading the pack is Trafford author Terrence King, whose work entitled The Silent Partner bagged top honors in the Commercial Fiction category. Also winning the top prize is Marjorie Irish Randell, whose book Searching For Friday’s Child won in the Legacy Non-Fiction class. Roger Longpre’s A Place in Time was also an honorable mention in the aforementioned category. Also gaining acclaim was J. L. Mayes and his book, Tinnitus Treatment Toolbox, which won runner-up honors in the Health category. Marrian Burrow Gray’s poignant poetry book, the Trafford-published Pictures Never Taken: A Collection of Poetry and Thought was recently given a glowing recommendation by the well-known and respected book review publication The US Review of Books. Trafford author Sheena L. Smith’s book Life Simply Put was featured on an online news article. In the article, the Trafford Gold Seal for Literary Excellence winner talks about “making choices that will honor your spirit and bring you joy.” The book also received positive recommendations from the US Review of Books’ Carol Davala and author/motivational speaker Dr. Wayne Dyer. Trafford author Catherine R. Cameron’s how-to book Are You Looking For An Administrative Job gained the spotlight as it was featured on the website of the literary online community, the Tallahassee Writers Association. It may have taken a decade, but Trafford author John Avinson finally realized a lifelong dream of publishing a novel with his fantasy book entitled Out of the Earth. A journalist for many years, Avinson conceived the book’s concept 10 years ago. However, the story got developed further after his retirement from journalism just recently. In an interview with the Huddersfield Examiner, Avinson talks about his fascination with mythical figures and how Trafford helped him tremendously in publishing his cherished work. Trafford author Jill Criscuolo redefines the concept of artist as she launches her very first book, the illustrated children’s book I Want To... A multifaceted entertainer having also delved in television and music, Criscuolo hopes to inspire young minds to read and explore their potential. In a feature that was posted on Yahoo!, Criscuolo talks at length about her book and her aspirations to encourage kids of all ages to follow and achieve their dreams. In between going to school, playing sports, and growing up as a teenager, Trafford author Billy Wetzel found the time to fulfill his dream of publishing his very first book entitled, Michael Durbin: An Olympian Tale. In an interview with Tri-Town News, the seventeen-year-old Wetzel talks about how youth is never an impediment to carving out a literary career.